TV show dates: May 10, 2018 — present. Performers include: Michael C. Hall, Amanda Abbington, Audrey Fleurot, Hannah Arterton, Louis Greatorex, Raj Paul, Joseph Sibtain, Hero Fiennes Tiffin, Freddie Thorp, Tyler Conti, Emmett J Scanlan, Marc Warren, Nigel Lindsay, Laila Rouass. A thriller from creator Harlan Coben, the Safe TV show centers on Tom (Hall), a pediatric surgeon who lost his wife a year ago. Tom is bringing up his two daughters in a well-appointed gated community, where he feels surrounded by friendship. After Tom begins a new relationship, his older daughter mysteriously disappears. It is then that he realizes he really doesn’t know anything about the people closest to him. There are some dark secrets about this place and the people in it. Tom is just trying to keep his head above water as a newly single parent to teen girls. He struggles, weighed down by his grief and guilt over Rachel’s death. Now it won’t be long, before the mystery around the night of her passing unravels. When the truth about Rachel comes out, it involves a secret that could take down families and even the entire community. Is there even a chance for redemption? Stay tuned. What do you think? Do you like the Safe TV series? Should this Netflix TV show be cancelled or renewed for another season? Will not watch anything with woman beater Scanlon in it!!! please continue with Safe. I really enjoyed the first season. it had a lot of great twists to the plot. I enjoyed it. Michael C Hall is such a diverse actor, from Six feet under to Dexter a couple random movies in between and now a Brit series . I would watch a second season to see where it leads. We loved the first episode. Excited to see the plot unfold. Awesome character development and keeps you guessing from the beginning. Well done! I loved Safe! Hope there is another season. Very good show, extremely well acted, suspenseful and leaves you wanting more. Ease come back! I love the show, hope this helps keep it on! I loved the netflix show “Safe”! 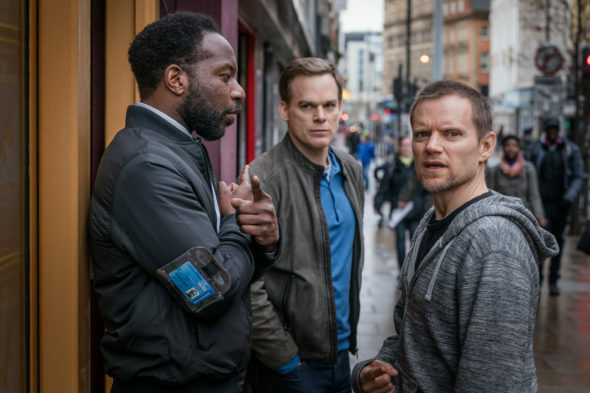 It’s great to see Michael C Hall in a new show. He is a great actor! I hope season 2 happens. Hopefully it will come back. Mysterious to the end. I like that I was thoroughly surprised.